In 1830, Britain was on the cusp of one of its most famous eras of scientific activity. The year before Charles Darwin unassumingly set out aboard the Beagle, the first volume of Charles Lyell’s Principles of Geology came off the printing press to wide and immediate acclaim. The experimentation of Michael Faraday and James Joule in the 1830s would help spark the development of modern electromagnetic theory and thermodynamics in the ensuing decades. The Cambridge Mathematical Tripos was already beginning to churn out rigorously prepared physical theorists. However, the future, as always, was unclear, and there were a number of people who were gloomy about the state of affairs in British science. 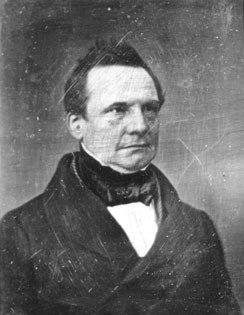 One was the Lucasian Professor of Mathematics at Cambridge University, Charles Babbage, who was frustrated in his search for funding for a calculating engine he had designed (and for which he would be most remembered thanks to the folk history of computing). In 1830 he gave vent to his gloom and frustration through a book entitled Reflections on the Decline of Science in England, and on Some of its Causes, which was picked up by the Edinburgh experimentalist and scientific journal editor David Brewster (best known today as the name behind Brewster’s angle), who ran extracts in the Edinburgh Journal of Science, and published his own screed in the Quarterly Review.